London to Greenwich by train is an easy day trip from London Town. 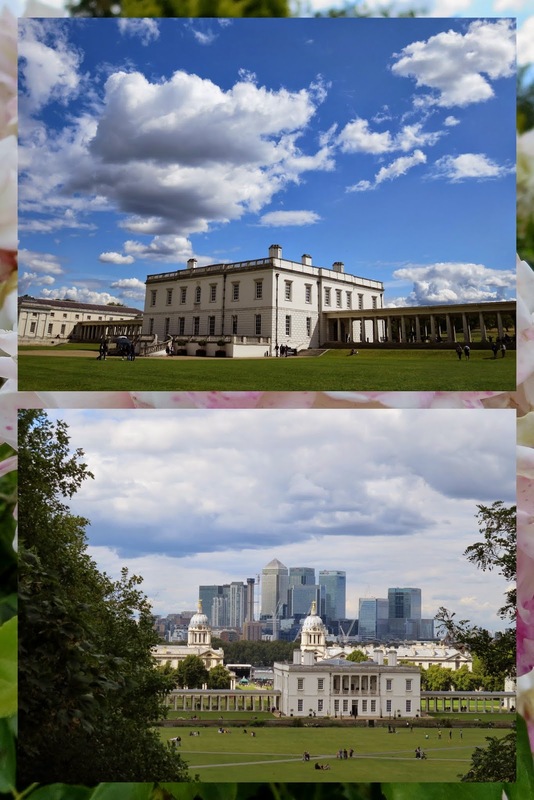 Board the DLR (Docklands Light Rail) and discover plenty of things to do in Greenwich. 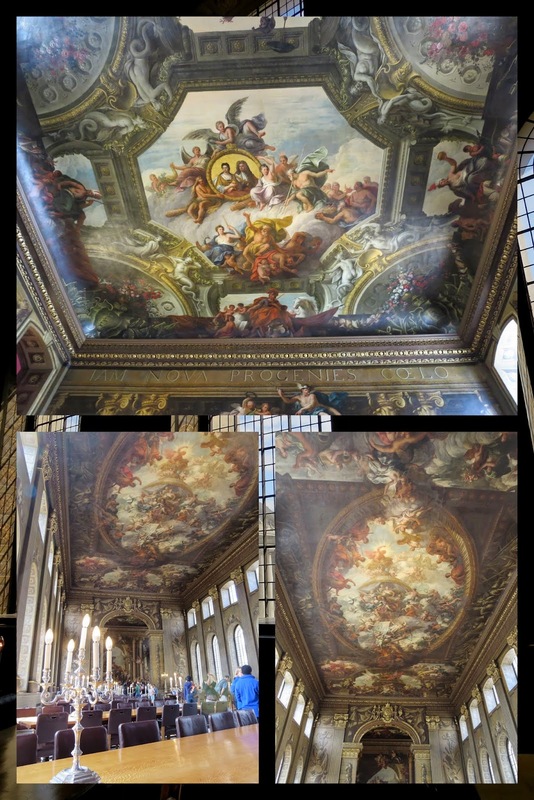 Read on for our recommendations of what to see in Greenwich in a day. The Cutty Sark, an old British tea clipper, is one of the first things to greet visitors emerging from the train station. When the Suez Canal opened, there was no longer much use for these fast sailing ships in the tea trade. Cutty Sark turned to wool trading in Australia and was put on mothballs (figuratively) in the 1950s before being opened as a museum. Greenwich features a lovely food hall bustling with vendors. Sweet and savory smells from all over the world greet hungry visitors. 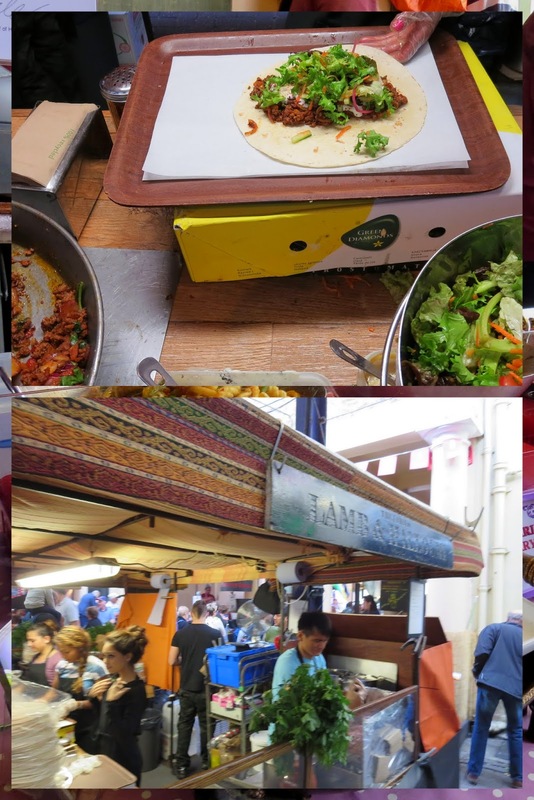 We tried a lamb and haloumi wrap which was spicy and delicious although a bit tricky to eat while standing around (the food market has very limited seating). 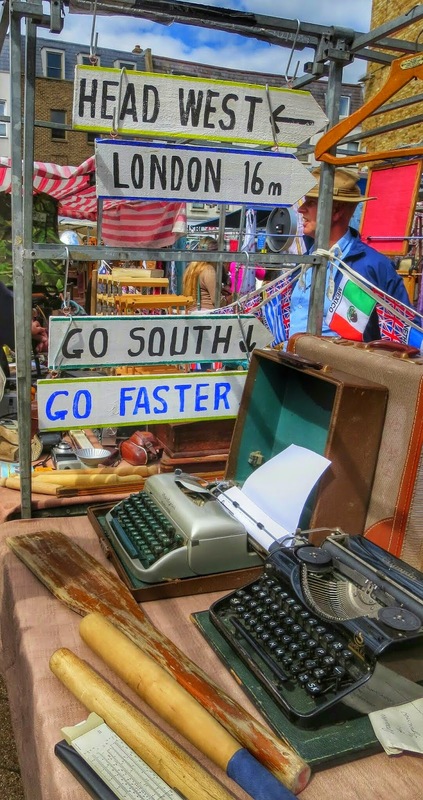 Not far up the road, an outdoor antiques market is a treasure trove for both bargain seekers and photographers. For some reason, these typewriters and directional signs caught my eye and I couldn't resist taking a snap. 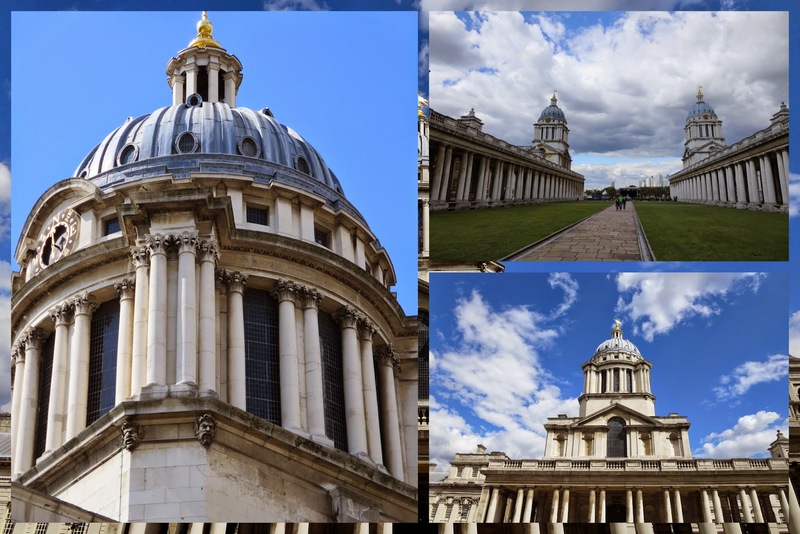 The Old Royal Naval College Gardens is worth a stroll on a sunny afternoon just to see the impressive architecture. One tower tells the time, the other the wind direction. We passed through Greenwich Park on our way up to the Royal Observatory. Queens House sits solidly and prominently on the lawn in front of a steep rise. The National Maritime Museum is also worth a look before trudging up the hill. Our hard work was soon rewarded with fabulous views over Greenwich and Canary Wharf beyond. 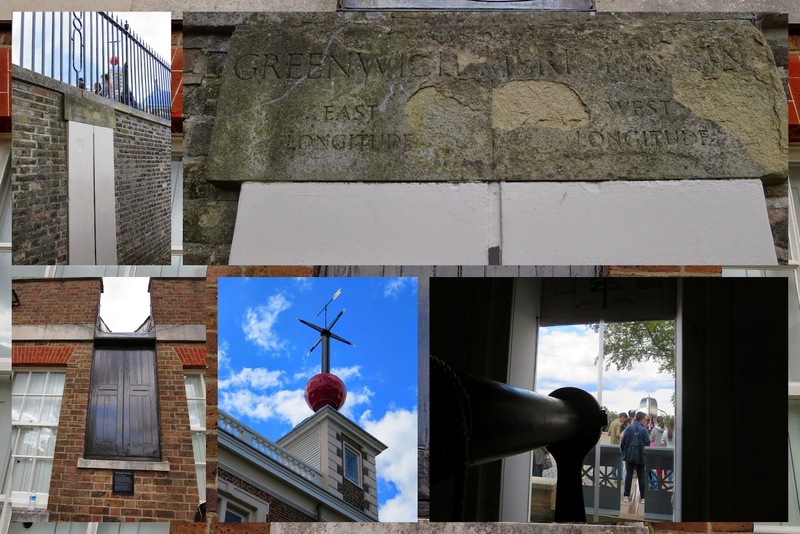 The pièce de résistance of a trip to Greenwich is a visit to the Royal Observatory to behold the Prime Meridian. This rather arbitrary line defines the zero point of longitude. It also makes for great photos with one foot in the Western Hemisphere and one foot in the Eastern Hemisphere. Definition of the Prime Meridian and a mechanism for measuring longitude at sea was a major breakthrough in maritime technology in its day. Massive queues tend to form in the courtyard of the observatory to get a photo straddling the meridian. However, if you pass through a small gate below the main plaza, you can get your picture taken on a lesser known (and much less crowded!) part of the line (see top left photo in the collage below). We built up quite a thirst climbing the hill to the observatory. 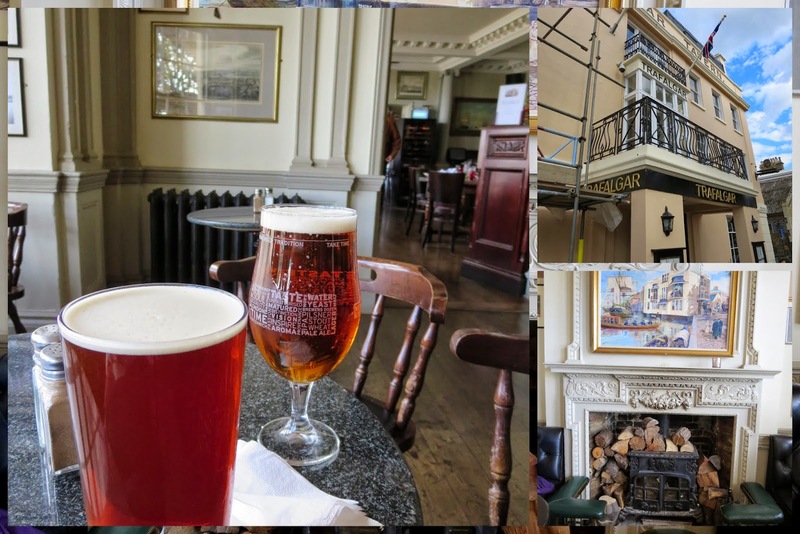 We rewarded ourselves on the way back down with a craft beer at the Trafalgar Tavern (named after the fateful battle that saw victory for England against Napoleon but claimed the life of Admiral Nelson). We'd noticed all sorts of cute neighborhoods in the London Docklands on the DLR ride to Greenwich. 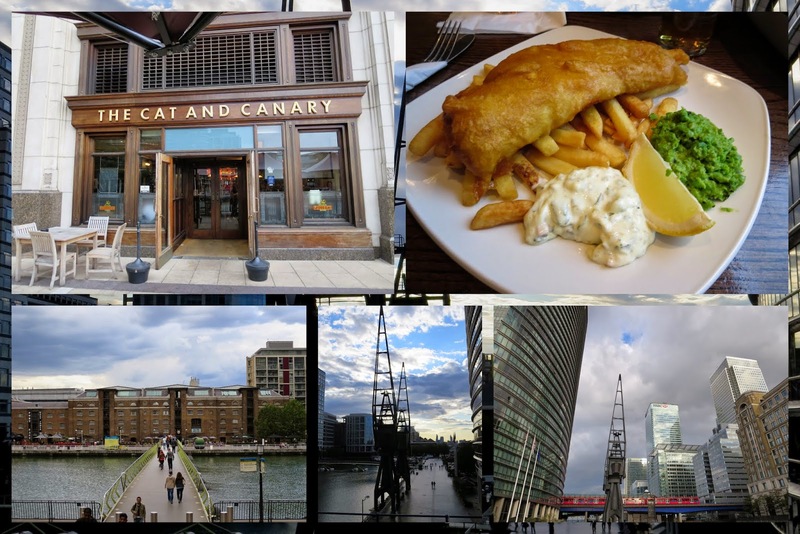 On the way back to the city, we hopped off at West India Quay for a look around and a bite to eat. What's a trip to London without classic fish and chips? We sampled a fine plate of the stuff at The Cat and Canary while a passing storm howled outside. After dinner, the rain had passed and we took time to admire our surroundings and reflect on our day before calling it a night. Go from London to Greenwich by train. Discover things to do in Greenwich on a day trip from London Town.